Estancia clubhouse. The La Scala homes are detached and attached homes built by Byrd Homes (original developer). Each home complements the adjacent residence with a common architectural design. The “Homes of La Scala” are larger detached homes. The 3 floor plans are Siena at La Scala (5,200 sf), Tivoli at La Scala (4,450 sf), and Seville at La Scala (3,450 sf). The “Terracina at La Scala” (2,800 sf), are the attached homes arranged as quadrangles around a common auto and courtyard. All La Scala at Estancia homes are easy walking distance to the Estancia clubhouse which has dining, fitness, pool, tennis, and one of the best golf courses in Arizona. 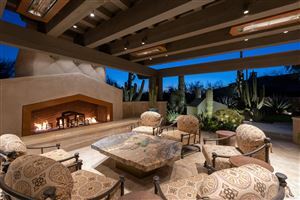 See all La Scala at Estancia.